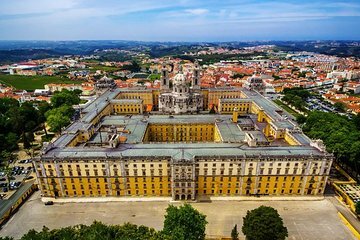 Exploring Mafra on a private tour offers a comfortable transportation option and flexible itinerary. Tour one of the largest book depositories in Europe, plus beautiful gardens, historical sites, and vista points. Then, take a scenic drive along the Atlantic Coast, stopping to snap a photo at at Roca Cape.